To get started log in to the Dropship Beauty App. On the menu go to Products –> Search Products. In this example let’s import the Malaysian Body Wave bundles. Click “Sew-In” and find the Malaysian Body Wave product. Next, you will want to click “+Add to Import List” to send the product to the next stage for review before uploading. Before uploading the product to your store, you will want to review it. That is what the “My Import List” section is for. To find this go to Products –> My Import List. 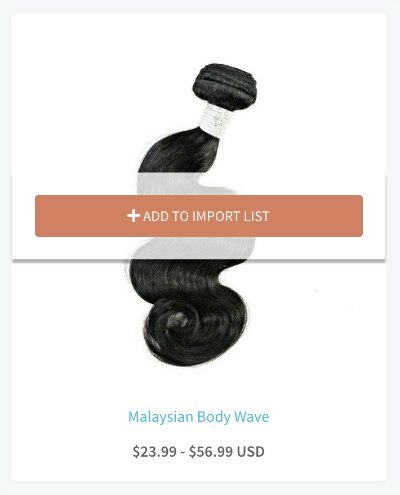 Here you will find the Malaysian Body Wave product available to review and import into your store. From here you can add it to a certain collection or assign tags to the product. You can click the “Description” tab and see that the product already has a product description. We recommend adding some of your own words to the descriptions to make them match your store’s personality. The next tab is the “Variants” that show you the different lengths (in this case) for the product. You can choose to sell them all or just one. We recommend selling all the lengths of the products. Here you can also tweak your pricing. 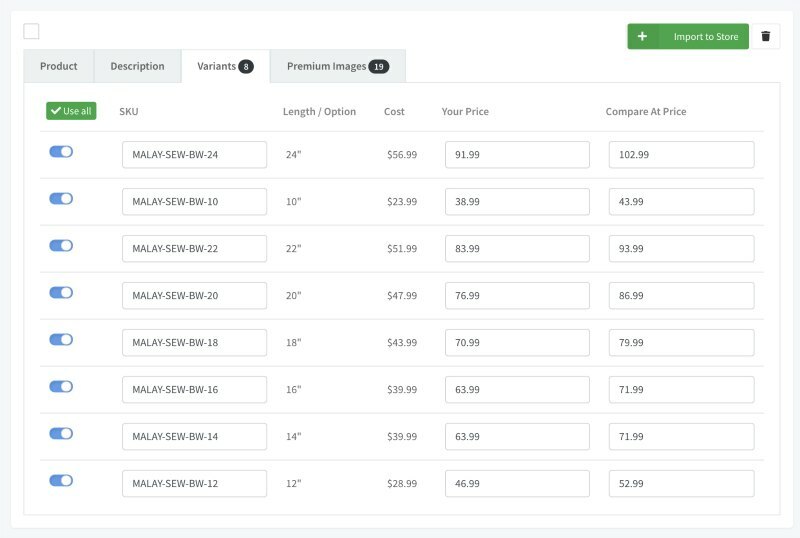 Make sure to have the Pricing Multiplier set for your store to save time on pricing adjustments. You can choose to have just the Retail Price as well as have a Compare At Price. 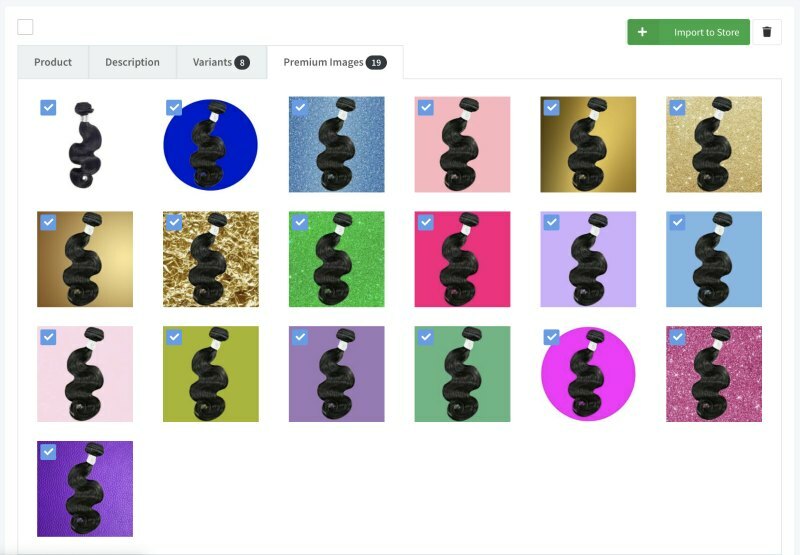 If you have an Advanced or Pro account, you will also have access to the additional Premium Images. Once you have finished making all the necessary adjustments to the product you will click the “+ Import to Store” button. This will automatically upload the product to your store. This will move the product to the final stage in the Dropship Bundles App. You can review all your imported products by going to Products –> My Products in the app menu.